Where to buy non corrective color contacts. What are the best contact lens brands and what is the lowest price? Are you looking to try colored contact lenses for the first time? While there are millions of people who wear contacts to correct their vision, for instance if they are short or long-sighted, there are just as many people who want to make a fashion statement by changing their eye color. If you have perfect vision, you just want a colored contact lens that has zero power. And the good news is that there are several comfortable and affordable brands available from the biggest, most trusted names in the contact lens market. Including...the brand I use everyday called Acuvue..who make Acuvue 2 Colours, a soft, 2 weekly disposable lens. Here's some more information about the range of color contacts without a prescription from the Acuvue range, made by Johnson and Johnson. The Colours range from Acuvue come in two different options, one called Acuvue 2 Colours Enhancers, suitable for people with pale eyes who just to brighten their own natural eye color, and Acuvue 2 Colours - Opaques which are aimed at people with either dark or light eyes. Both options offer an extremely thin and therefore comfortable soft contact lens and they are available as non corrective color contacts with zero power - you just choose 0.0 when placing your order. Click on the above links to see the wide range of colors available in these 2 week disposable colored contacts and to get the best price, normally $29.95 per box of 6 lenses, but often available at a discount from AC Lens. As I know how comfortable my everyday Acuvue Advance contact lenses are, this brand would be my top recommendation for first time wearers who need super comfortable colored contact lenses. The other brand of non prescription colored contacts most commonly chosen is Freshlook Colorblends. 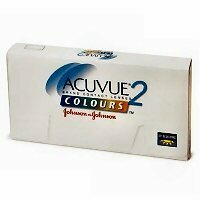 They are very popular as they come in 12 different shades and they are a bit cheaper than Acuvue 2 Colours. Freshlook Colorblends are a monthly disposable lens, available in both prescription and as non corrective color contacts. Wider in diameter at 14.5 than Acuvue 2 Colours, they may not fit everyone, so remember to visit an eye doctor if you've never worn contact lenses before. I can't wear them, for example, as they are 0.5 wider in diameter than my usual lenses so feel uncomfortable in my eyes. The cheapest price I've found for them online is at AC Lens at $28.95 per box. You can get a further discount on any of the above lenses by using one of these special contact lens coupon codes from AC Lens. NB: If you don't get your lenses FITTED properly, you are more likely to have problems eg. uncomfortable contacts that don't sit correctly on your eye. As a first time wearer, you may not know whether your non corrective color contacts will suit you. If so, you may just want to try a low-cost colored lens like Freshlook ONE-DAY. They cost just $14.95 per box of 10 lenses from AC Lens and are the only daily disposable soft colored contact lenses currently on the market. You can therefore try them and you won't have wasted too much money at just $1.49 each if they don't suit you. Tip: Freshlook ONE-DAY have a smaller diameter of just 13.8 than the other lenses in the Freshlook range, so they may also be a better fit for you.